A House committee Thursday considered a proposal that would require parental consent for minors to join a labor union. 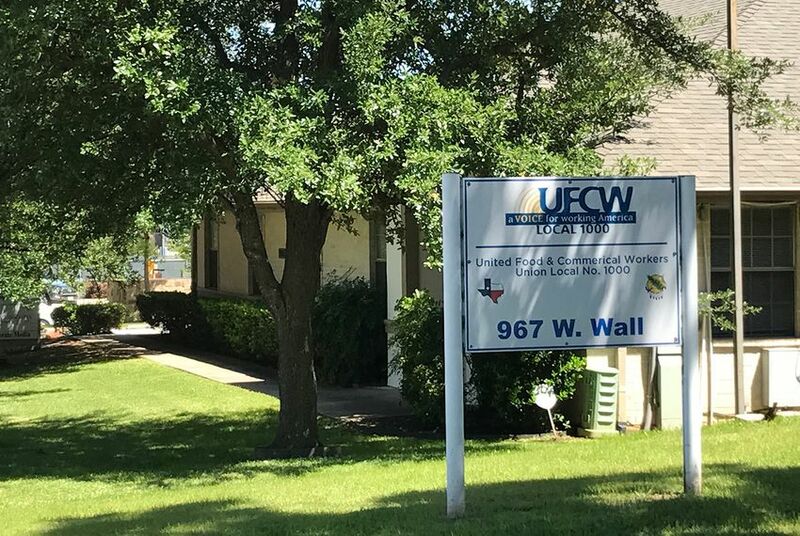 United Food and Commercial Workers (UFCW) Local 1000 in Grapevine. When he was 16, Joe Montemayor joined a union the first day he began sacking groceries at Houston Kroger store in 1998. “When you’re young and naïve, you need protection,” he told House lawmakers at the Texas Capitol Thursday. “And I didn’t need my parents there to tell me [joining a union] was the right thing to do." “These are things that we should be providing a simple opportunity for parents to have a family decision,” he said, adding that minors already need parental approval to get tattoos or use a tanning bed. The Senate gave the bill, carried by state Sen. Jane Nelson, R-Flower Mound, the thumbs up earlier this month, and both Nelson and Parker said they filed the legislation because of a constituent they shared who said his daughter joined a union without fully understanding the terms of what she was signing. Opponents of the measure argue that if someone in the state is old enough to work, they should be able to decide on their own whether to join a union. “When I was old enough to make a choice to go to work, I was old enough to join a union,” said 24-year-old Cassidee Griffin, who said she began working at a Kroger store in North Texas when she was 16. Minors were a majority of the store's new hires, she said. Griffin said the proposed legislation would hurt membership of United Food and Commercial Workers. Between 1,500 and 2,000 minors in the state currently belong to a local United Food and Commercial Workers chapter, a private-sector union representing baggers and clerks at grocery stores across Texas, according to Anthony Elmo, the group’s communications and political director. Texas is a “right-to-work” state, so employees are not required to pay union dues or join a labor union. And under current state law, minors can secure most jobs without parental consent, with a few exceptions such as acting jobs in movies and plays or selling goods and services. HB 1987 was left pending in the House Economic & Small Business Development Committee Thursday. Meanwhile, the “union dues” bill, arguably the more contested union-related proposal at the Capitol this year, has not received action in the House yet. The measure, one of Lt. Gov. Dan Patrick's legislative priorities, would end the state's role in collecting membership dues for certain public-sector labor unions and associations through automatic payroll deductions. Police officers, firefighters and emergency first responders could still have union dues deducted from their paychecks under Senate Bill 13. The Senate sent SB 13, sponsored by state Sen. Joan Huffman, R-Houston, to the House in March, and the bill’s companion, HB 510 by state Rep. Sarah Davis, R-Houston, was referred to the House State Affairs Committee in February. A similar bill died in the same committee last session, and state Rep. Byron Cook, R-Corsicana, the committee's chairman, declined to comment Thursday when the Tribune asked if he planned to consider either bill in a hearing this year. Huffman's and Davis’ offices also did not respond to requests for comment. Minors in the state may be required to obtain parental approval before they can join a labor union under a proposal the Texas Senate tentatively approved along party lines earlier this month. The Texas Senate approved a measure that would end the state’s practice of collecting public employee membership dues for certain labor unions and other associations through payroll deductions.